Gingerbread for Nexus One breaks Google Voice | Android Blast! 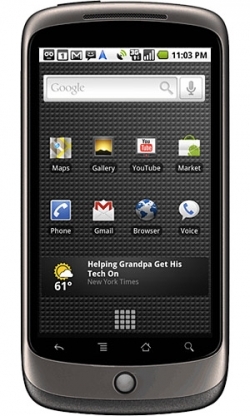 The Android 2.3 Gingerbread update for the Nexus One has been out for about a week now, and it's even going out OTA. Nexus One owners were rejoicing at the news until they found out that the update can greak Google Voice. Hopefully, Google will fix the issue soon, but if you can't wait for Google uninstall GV. Then go get the old Google Voice .apk, and then re-install Google Voice from the Market. These updates always have bugs don't they?